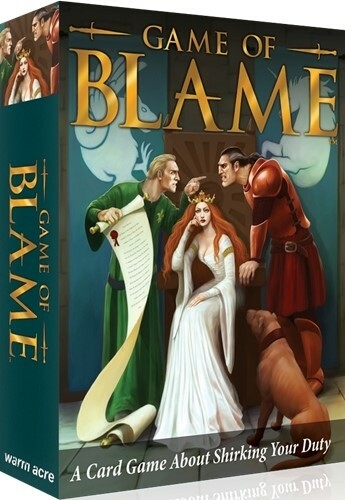 Experience the schemes and skulduggery of life at Medieval court in Game of Blame. Many will sit on a throne, but only one can wear the crown! 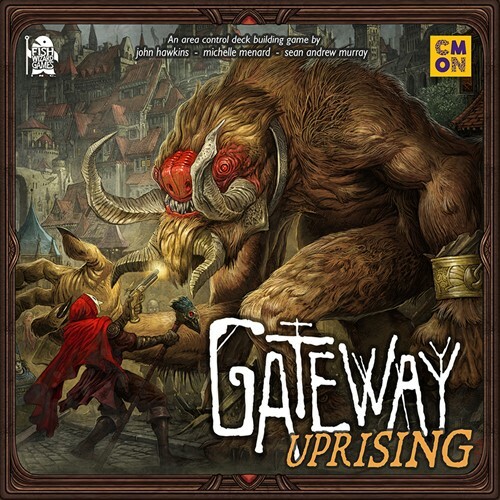 Tired of having to choose what game to play? Why not play more than one at the same time? Sure, those other games are great. That's why Gameception wants you to continue playing those while you play it. 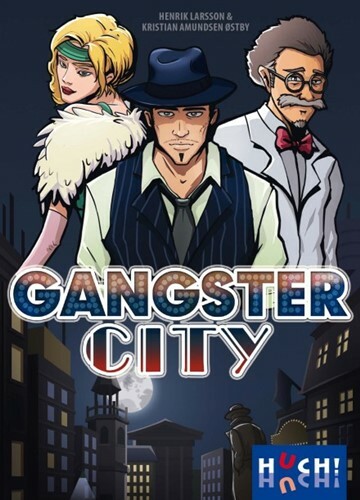 It's the game that plays all day. Shhhhhh! Don't tell the Hall Monitor! 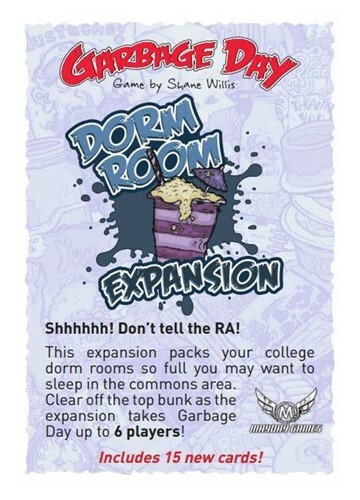 This expansion packs your college dorm rooms so full you may want to sleep in the commoms area. 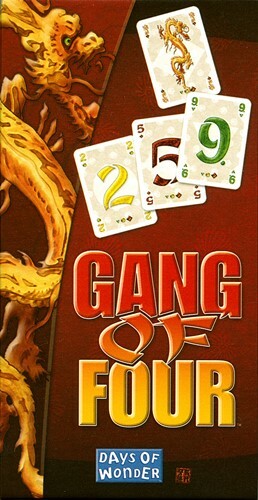 Clear off the top bunk as this expansion takes Garbage Day up to 6 players! Get out of my room, NOW! 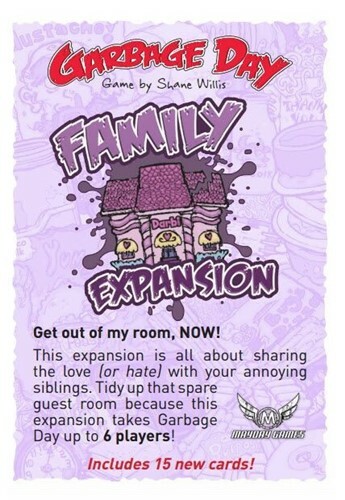 This expansion is all about sharing your love (or hate) with your annoying siblings. 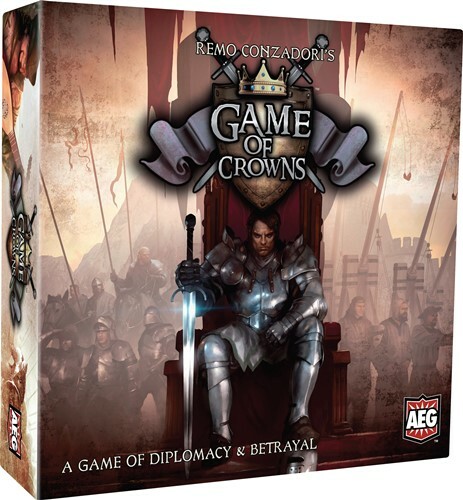 Tidy up that spare guest room because this expansion takes Garbage Day to 6 players. 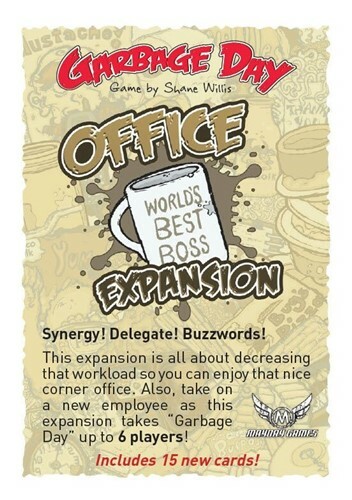 This expansion is all about decreasing the workload so you can enjoy that nice corner office. 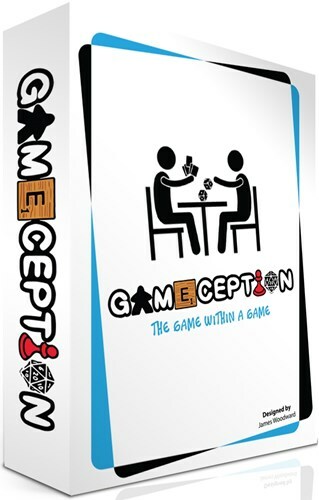 Also, take on a new employeyee as this expansion takes Garbage Day up to 6 players!